The parish of Doutta Galla, forming part of the County of Bourke, of which Essendon is a part, was reportedly named after the wife of Jika Jika, who was John Batman's native servant. Jika Jika parish was on the east bank of the Moonee Ponds Creek and Doutta Galla on the west bank. 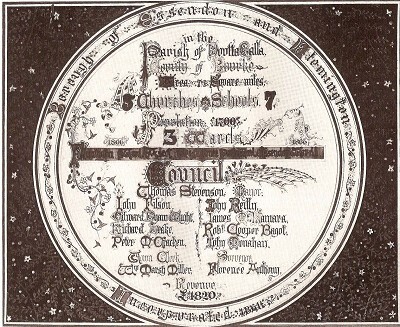 This is recorded in the March 1837 field book of surveyor Robert Hoddle. The first land sales in the area of Strathmore were made in 1843 and 1845 in the Parish of Doutta Galla. Major Frederick Berkley St John, was the purchaser of the Strathmore North area, (Section 23). The other major purchaser (Section 15, Parish of Doutta Galla) covering the Strathmore area was Edward Jones Brewster. Both made significant fortunes from land speculation. Brewster subdivided and sold 100 acres of land to Thomas Napier, who occupied the land and left a lasting legacy to the area - the origin of its name. The area of Strathmore was originally called North Essendon. The name of "Strathmore" was first suggested by the Rev. John Sinclair in 1936 and was initially adopted by the church. The name was derived from Thomas Napier's Scottish heritage, the valley of Strathmore, Scotland close to where he once lived. The name was submitted to Council in 1943. Strathmore Post Office opened on 1 October 1953. In 1955 the Railways changed the name of the station from North Essendon to Strathmore. As a relatively unknown suburb, Strathmore's profile has been enhanced considerably following the construction of the Direct Factory Outlet shopping complex in December 2005 . Melbourne underworld figure Jason Moran was killed in the suburb behind the Cross Keys Hotel in 2003.
Who were the Charter Members of the Lions Club of Doutta Galla? 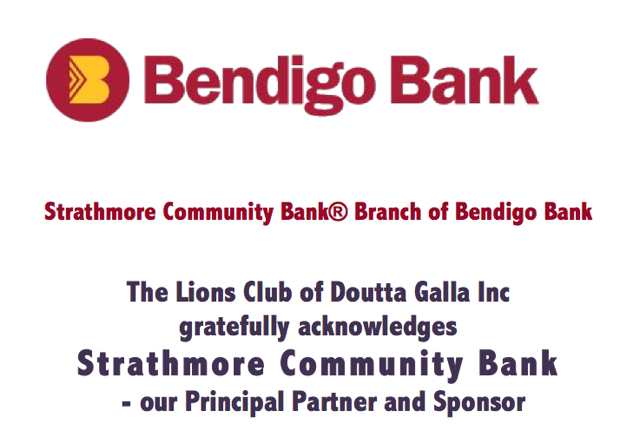 Lions Club of Doutta Galla was chartered on the 12th May 2011. The District Governor's Bulletin of June 2011 lists the 21 charter members as Catherine Baldwin, Justin Bourke, Daniel Doherty, Glenn Falloon, Robyn Falloon, Stan Falloon, Paul Guiliano, James Hajjar, Catherine Hogan, Hamish Jones, Justin Lewis, Justin Noonan, Peter Noonan, Susan Phippen, Terry Phippen, Owen Piper and Rose Piper, Gess Rambaldi, Jocelyne Rambaldi, James Rankin, Rhonda Skinner and Bruno Vocale.